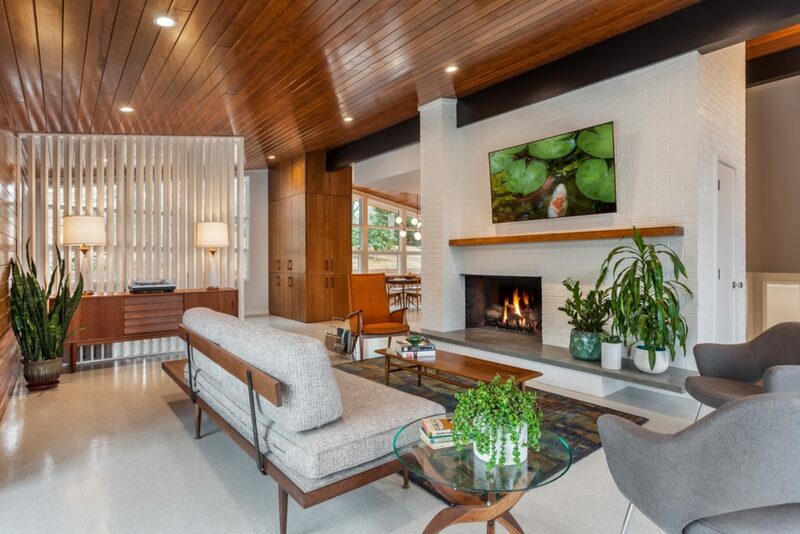 This midcentury modern Split Level Renovation was carried out as a team effort between multiple players, each contributing with skills that were integral to the realization of the project. While the original state of the home possessed flawless midcentury design, some aspects, such as physical arrangements, had become outdated. Time had taken its toll on some structural aspects over the years, which were in dire need of restoration. With a midcentury modern aesthetic at the forefront, the project aspired to upgrade the home to a more appropriate design whilst retaining its original soul. 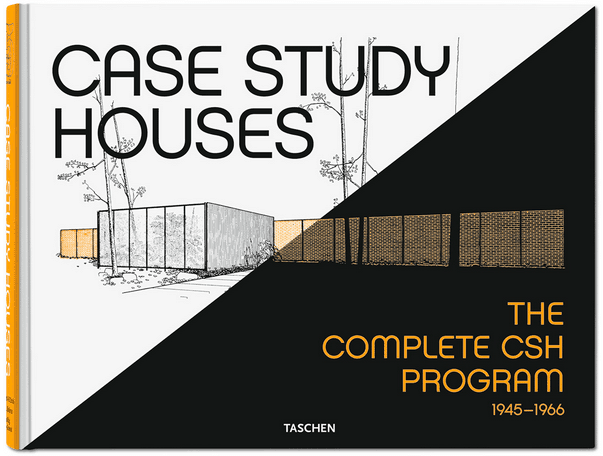 Can you tell us a bit about yourself and the architect who designed the house? 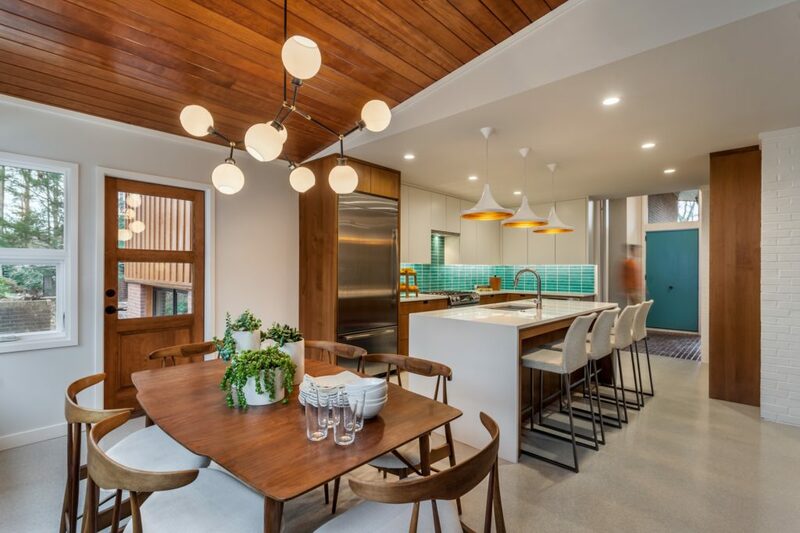 This was a team effort between the owner, Tindall Architecture Workshop, LLC (architect), Carson Speer Builders (builder) and ID Studio Interiors (Interior Designer). All team members played a important role in the success of this project. Tindall Architecture Workshop is a small design group in Greenville, SC. We focus on everything residential. We can and do work on all styles and periods of homes, renovations and new construction. Currently, our work ranges from a traditional screen porch addition to a contemporary new home build, and everything in between. However, the midcentury modern aesthetic is our favorite. We are mobile and we all work from home because we love our families, value a healthy work balance and the low overhead keeps us competitive. TAW is not a corporate firm. We are comfortable with being small, local, normal and easy and we believe in accomplishing great design work. Was this project a conservative restoration or an upgrade to modern living? This project was both. 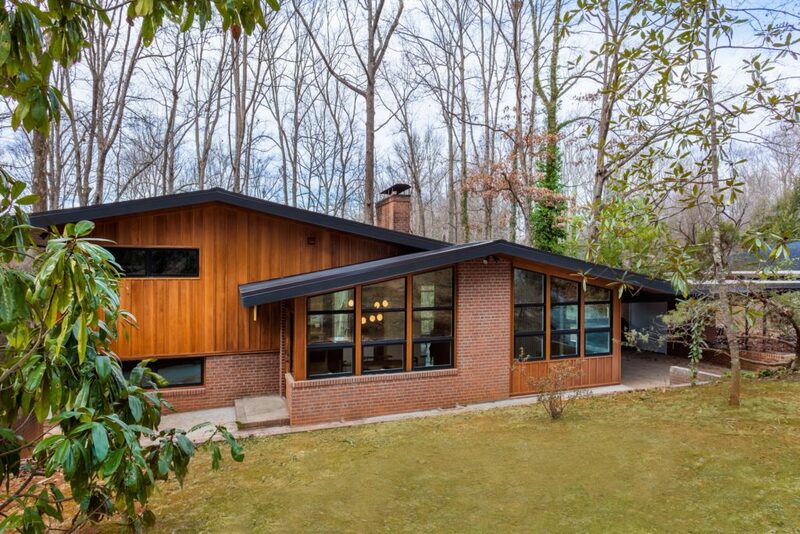 The existing home was a great example of a midcentury design. However, it had deteriorated over the years. There were significant structural failures and water damage throughout the home. In addition, the layout was of a previous generation. The goal for this project was to maintain the soul and character of the home while providing a more appropriate layout for 21st Century living. We wanted to provide all the conveniences of a new, open layout with the aesthetics, scale and features of a midcentury modern classic. What major points created more flow within the home during the renovation? The kitchen and the master suite were the primary focus for our renovation efforts, although we ended up with touching the entire home. The main floor open concept dictated the design direction. The entry, the family room and the kitchen / dining area were all adjacent (similarly to the new layout), but as separate rooms. We immediately saw the opportunity to unify the main floor by opening up these spaces. An expansion and new layout of the kitchen allowed us to create a more inviting space. The challenge was to work within the existing footprint to delineate each room, while looking to create one large open family space. We saw potential in the existing basement space that was poorly arranged and mostly unused. Up from the main level are three bedrooms and two full baths. The master suite, laundry and office are located on the lower level. By reconfiguring the basement level for the master suite, we were able to largely keep the upper level intact with minimal renovation efforts. Because the owners have the ability to work from home, colliding the office and the master worked well. Which is your favourite part of this house and why? It is unfortunately something you cannot see in the photos. Located in the original kitchen of the home was a functional, built-in blender by Nutone. As part of the renovation, a built-in bar and storage cabinet was designed to help separate the mud room entry and the dining area. Housed within the new bar is the original and (still) functional midcentury, built-in blender. This house has soul. Our intent was to enrich the soul by being respectful of the period and style in which originated. Incorporating original pieces of the home as part of the restoration, in lieu of sacrificing for something new, helps to retain the original character of the home. The tongue and groove ceilings remain original. Did you have to retouch them and if so, how did you freshen them up? How did you decide on the new expy floors to accompany the floor and walls? 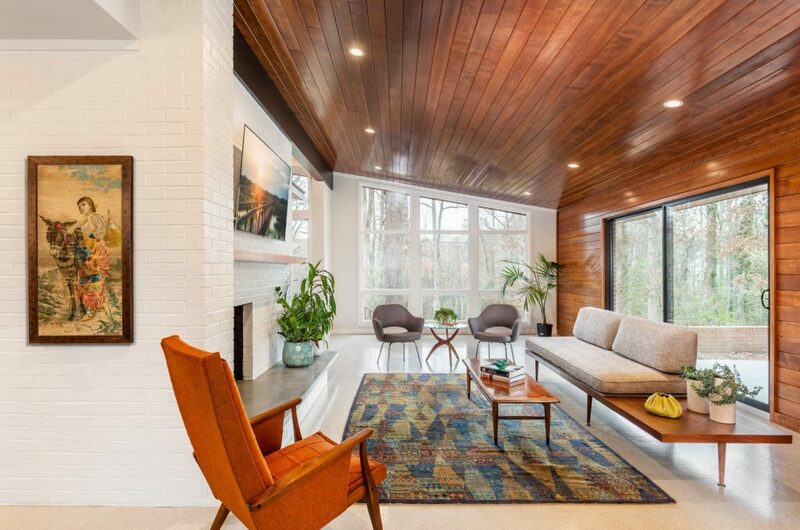 The original home did have douglas fir, tongue and groove ceilings throughout the family room. Unfortunately, due to water damage from a failing roof, there were areas of the ceiling that could not be saved. Whatever material could be reused was salvaged and stripped. The material was reapplied and the ceiling was finished with a mix of old and new douglas fir, stained to match the original. The tongue and groove wood on the family room wall is not original. However, we felt it added a sense of cohesiveness to the design and framed the space in a unique way. 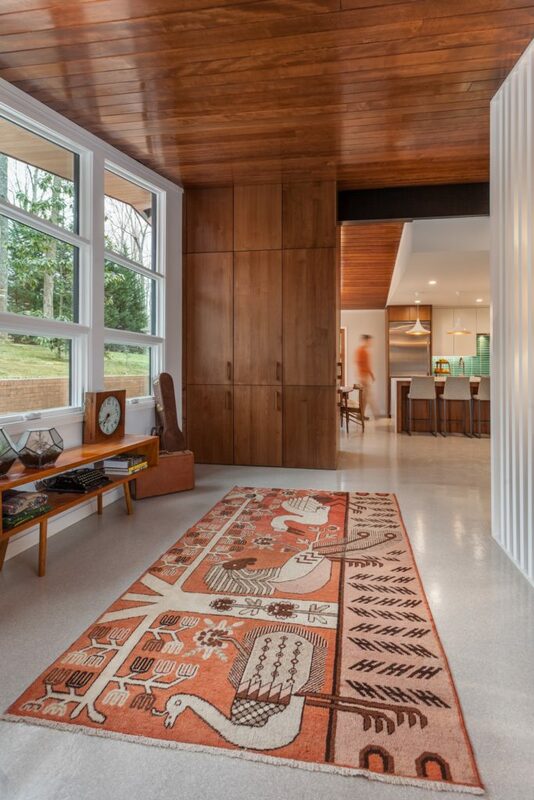 Many original midcentury homes might have had a terrazzo or stone floor. Both of these materials are not only heavy, but somewhat expensive. We looked at an epoxy floor for two reasons: one, it is an economical way to simulate a terrazzo floor. Second, the epoxy floor provided a low maintenance option for a family with small children. 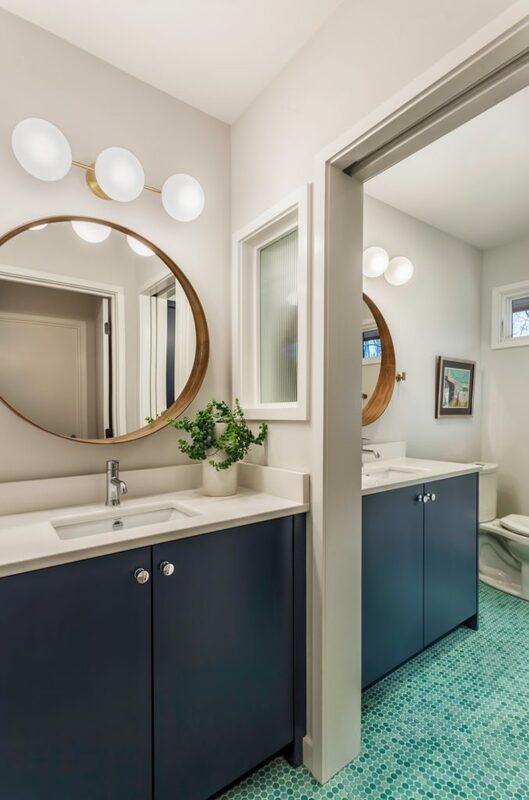 Last, can you tell us more about the ideas behind the blue hued details (bathroom floor and cupboard, tiling in the kitchen and the entrance door)? Much of the home’s interior is primarily an earth color palette, with shades of white and rich stained woods. In true midcentury fashion, the pops of color accentuate certain aspects of the space and thread together an experience as you navigate through the home. You can experience multiple rooms from any one space and the hues of blue thread together a cohesive interior. The tiles were provided by Circles & Squares Ltd. Co., a small tile boutique in Greenville, SC.